ALPHA CENTAURI is one of the most celebrated and impressive stellar ornaments in the sky that remains among the major observational highlights for any visual observer. Famously acknowledged as the nearest star to the sun has meant that almost every southern amateur astronomer must have viewed it, and most likely, because of its prominent stature, most of the world population has at least heard of it. It is interesting to speculate that had northern observers had access to this star, that the future story of astronomy and astrophysics would certainly had been different and certainly far more advanced. For me the hidden nature of Alpha Centauri was likely proved to be an almost unfortunate twist of fate. Alpha Centauri is the brightest star in Centaurus, being placed in the far south-eastern corner of this large constellation, which culminates each year at 9pm on 8th June	or at midnight on 24th April. In the sky, Alpha Centauri resides some two hours east in Right Ascension of the Crux (Southern Cross), and is the easternmost star of the southern Pointers. Here this star joins with Beta Centauri (Agena) to point just north of the familiar asterism of the Cross. (1) In placement, this bright luminary is 15.6° east of the brightest star in Crux, Acrux, at the foot of this prominent asterism. Commonly the star is referred as just Alpha Centauri or α Cen, though the proper name as Rigel Kent or Rigel Kentaurus, is sometimes used. Historically, the name Rigel Kent is surprisingly modern, whose name originates in the early 20th Century by aviators who used the star as the guiding beacon for visual navigation purposes. This is quite unlike all the other thirteen bright 1st magnitude stars in the sky. During the 1st Millennium A.D, its Arabic name was Wazn, but this usage has not continued into more recent contemporary times. 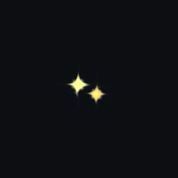 To the eye, this obvious star appears as a gorgeous golden-yellow colour that seems to contrast well with the cold steel-blue of its neighbours of Beta Centauri and of several similar coloured stars of the Cross. In intrinsic brightness, it remains ranked as the third brightest star in the sky at -0.29 magnitude. This bright celestial beacon own ranks in brightness is only behind Sirius and Canopus, but does holds some distinct and particular reverence over all other stars, mostly as our closest stellar neighbour. (1). I have generally read the many accolades about this particular system over the years but the one that really sticks in my mind is that written by E.J. Hartung his book “Astronomical Objects for Southern Telescopes” (1968). He adequately describes Alpha Centauri using one solitary word; “brilliant”! (2). The star is also catalogued as HIP 71683 and HIP 71681 or together as SAO 252838. As a double star it is sometimes referred after Father Richaud, the discoverer, as RHD 1 — or by James Dunlop as Δ165. Imperatorius Astrum — the Imperial Star. 1. My fellow Australians, however, seem to have forgotten this reverence, as it is the only star of the “Cross and the Pointers” left off the Australian Flag! 2. He must have been a modest man in my opinion judging by his particular elegant literary style.